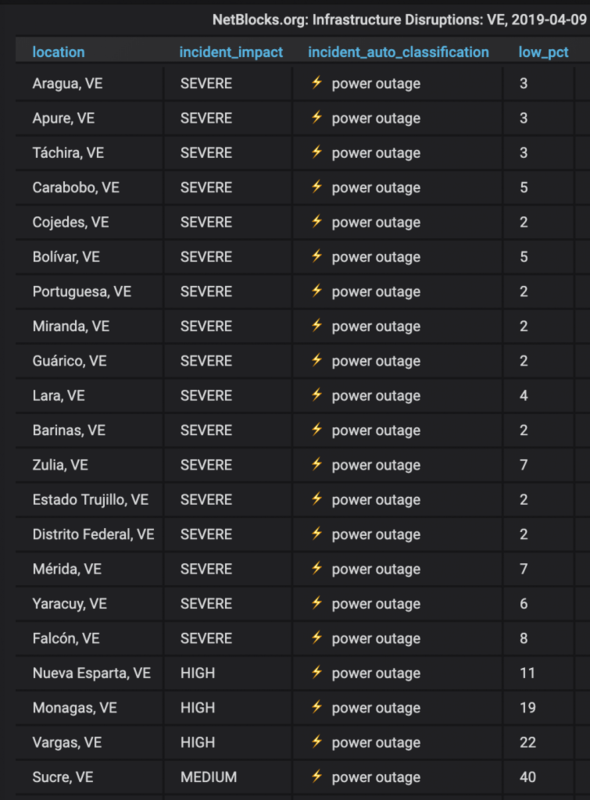 The NetBlocks internet observatory has identified a widespread power outage across Venezuela at 3:30 AM UTC 10 April 2019 (local time 11:30 PM VET 9 April 2019), severely affecting most states and cities including Caracas, sending approximately 90% of the country’s telecommunications infrastructure offline. 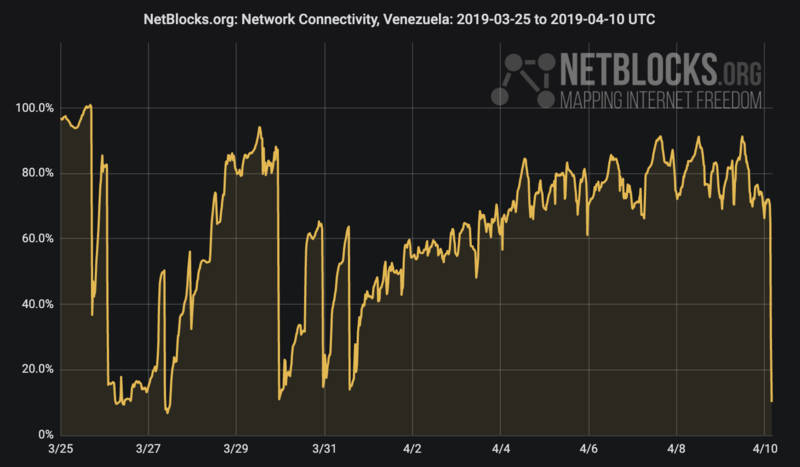 The disruption comes following two weeks of recovery in the aftermath of the failure of Venezuela’s national grid, and is one of the most severe to strike the country since the onset of disruptions. 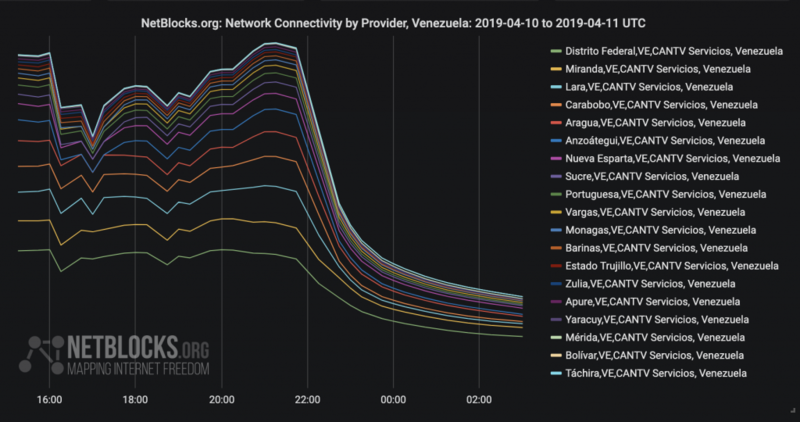 Most states of Venezuela are now almost totally offline, with only limited network connectivity. 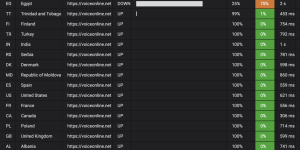 Hospitals have reported failures and loss of life through the ongoing disruptions and the overall human and economic impact remains unknown.